Most Financial Professionals: Advisors, Planners and Investment Managers in the Financial Services Industry, make the statement that they provide comprehensive diversification for a client’s portfolio. Most “Professionals” do not have the licensing, knowledge, services, strategies or access to the products and trading platforms to provide the comprehensive diversification that high-net worth individuals and institutions so desperately need. "Perfecting the art and science of wealth management." 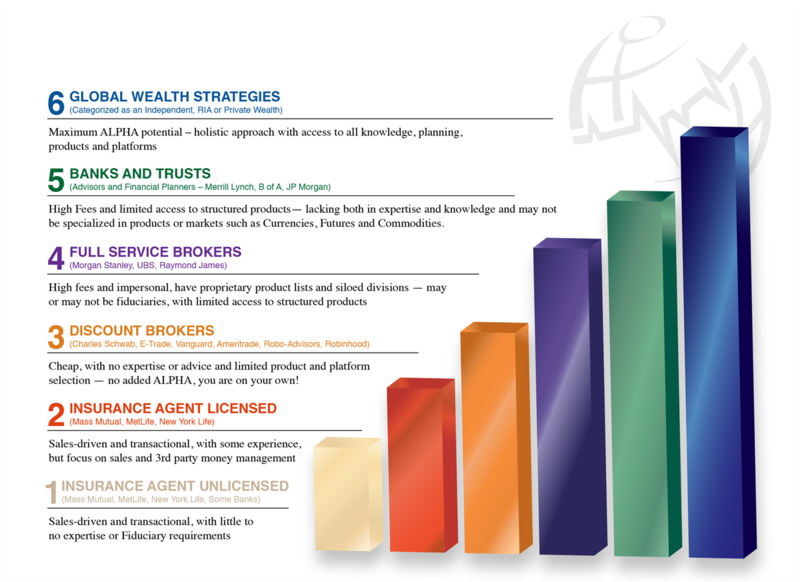 Our GWS Alpha Advantage investment process is actively uncompromising. We make a significant commitment to research, due diligence and manager scrutiny. We diversify client’s assets across all essential asset classes, both traded and non-traded. We scour the industry for innovative approaches that add value. And we scrupulously monitor our client’s portfolios to guard against unnecessary risks. This process benefits clients by providing substantial diversification of their investment portfolios so that volatility in any one market sector is mitigated by the benefits of the other asset categories. Portfolios are split into three main components. This part of the investment portfolio enables participation in positive returns in the equity and investment markets yet protects you from losses that might be incurred by those same markets. This is best accomplished by gaining direct exposure to investments in non-correlated asset categories, structured products and/or investments only Accredited Investors or Institutional Buyers normally have access too. Simply, a proactive use of hedging strategies that are not available to many investors of the general public. This part of the portfolio enables access to the world’s equity and bond markets. Exposure is gained via a broadly diversified portfolio designed to meet personal wealth objectives. 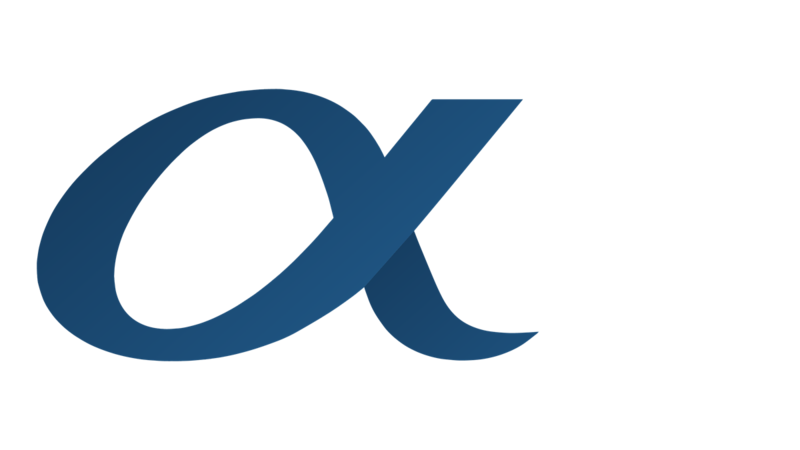 Our portfolio manager builds custom strategies using various stylistic investment approaches including: active vs. passive, growth vs. value, small cap vs large cap, strategic vs tactical and numerous other hybrid styles coordinated for client goals. Our client’s investments need to be protected from large unexpected inclines and declines in the equity and bond markets. We use proactive management and in-depth research to take advantage of growth trends. We also utilize long/short strategies, tax harvesting, options & currencies, foreign debt & equity and additional alternative investments to expand opportunities. This part of the portfolio can also provide exposure to alternative hedge fund managers if determined to be appropriate. Through conversations and metrics, we determine your views on financial risk and reward, and set family goals and a roadmap to success. Along the way, we prepare financial plans, monitor your net worth, review progress toward specific objectives, and deliver a range of additional services, ensuring we stay on task. Only with an Independent Fiduciary (Global Wealth Strategies), RIA or Private Wealth firm can a client have access to everything. Every client of GWS has access to the same products and services that high net worth individuals do. All other providers have restrictions and face a lack of knowledge, expertise, licenses, products, platforms, markets, planning, strategies, engineering and technology. The VALUE added and the ALPHA provided by GWS can only be measured against another Independent firm, RIA or Private Wealth Manager. Most cannot provide the entire “Financial Tool Box” required for high net worth individuals. This is what sets GWS apart. Wealth Isn’t Just a Number. No matter how much you earn, wealth is determined by how much you keep. Wealth isn’t necessarily determined by an income figure. Instead, real wealth is determined by looking at your balance sheet. “Maximize your income (by upgrading your education or job skills). Minimize your outgo (by living beneath your means). Religiously save the difference.